Bill Gallagher has developed a uniquely integrative approach to maximize comfort and function. By integrating the Physical Therapy traditions of the East (Tai Chi, Qigong, Yoga) with somatic therapies of the West (Conventional Therapeutic Exercise, Feldenkrais, Alexander, Pilates, Osteopathy), Mr. Gallagher helps his clients maximize function and minimize pain. Through meditation instruction, guided imagery, biofeedback and other disciplines that work with the Mind & Body, clients are further empowered to optimize function and comfort while reducing suffering. Bill sees a broad spectrum of clients in his practice including people with severe disabilities and elite performers. In addition to traditional 1:1 sessions, Bill teaches specialized group programs for people with pulmonary issues, spinal cord injury, brain injury, chronic pain, breast cancer survivors, and elders at risk of falling. His work has been published in Topics in Geriatric Rehabilitation, Occupational Therapy Practice, Advance for Physical Therapists, Advance for Occupational Therapists and Tai Chi magazine. He has also written a chapter for a physical therapy text, Complementary Therapies for Physical Therapy: A Clinical Decision-making Approach on integrating Tai Chi & Qigong with conventional physical therapy for psychological, cardiac and arthritic conditions. 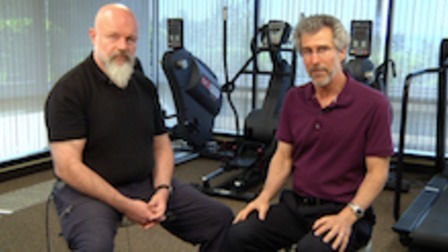 Bill is recognized as an authority on Integrative/Mind-Body/Complementary rehabilitation and teaches his visionary synthesis to practicing rehab clinicians (Mount Sinai Medical Center, Beth Israel NYC, Sloane-Kettering Cancer Center, Columbia Presbyterian, Shriners Hospital for Children in Philadelphia, Oregon State Health & Science University) and at several Physical Therapy doctoral programs.